A happy, fun-loving black-and-white image of Norma Jean makes this Marilyn Monroe Happy 16 oz. Acrylic Travel Cup a collector's dream. 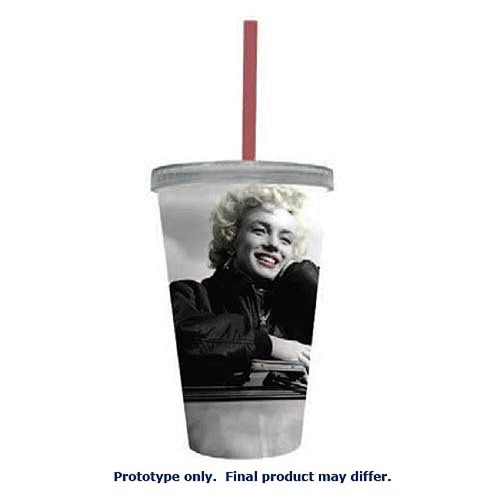 With a top and straw, it's also functional for fans who want their Marilyn to go! Hand wash only. Not dishwasher safe. Do not microwave. Doctor Who 13th Doctor TARDIS 6 1/2-Inch Figure - 2018 Excl.